Bahrain, an archipelago of 33 islands and Bahrain Island being the largest, offers lots of hotels in Manama, Sakhir, Sitrah, Juffair and Muharraq, ranging from cheap hotels to luxurious 5 star hotels. Famous hotels are Kempinski Grand & Ixir Hotel Bahrain City Centre (5 stars), Hani Suites & Spa, The Diplomat Radisson Blu Hotel Residence & Spa (5 stars), Mercure Grand Hotel Seef - All Suites (4 stars), Fraser Suites Seef Bahrain, L'Hotel, Elite Suites Hotel, Gulf Executive Residence and Al Safir Tower Hotel Apartments, all in Manama, the Al Areen Palace & Spa (5 stars) in Sakhir and Al Bander Hotel & Resort (4 stars) in Sitrah. As a tourist destination, Bahrain receives over six million visitors a year from the surrounding Arab countries and from outside the Middle East because of Bahrains reputation as a liberal and modern country and the new Formula 1 (F1) Cicuit. For this reputation the Lonely Planet Guide describes Bahrain as "an excellent introduction to the Persian Gulf". HotelsinBahrain.COM offers hotels to be booked online with NO BOOKING FEES and RESERVATION FEES. Book your favourite hotel in Bahrain now. The Tree of Life, a 400 year-old tree that grows in the Sakhir desert with no nearby water, bird watching, scuba diving and horse riding, shopping, museums, souqs and festivals (Manama was named the Arab Capital of Culture for 2012) are the popular tourist attractions. Tip: the best time to visit Bahrain is October/November till March/April, take your sweater the evenings in this period can be cool. From May till September the (shadow) temperatures will exceed 38/39 °C easily, making it very hot and humid. 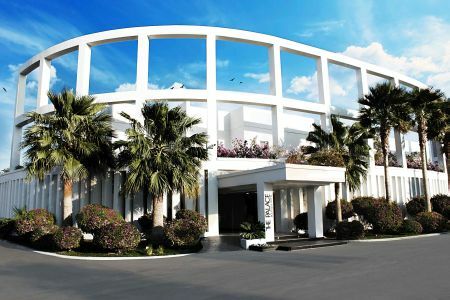 From cheap hotels to luxury hotels in Manama, Sakhir, Sitrah, Juffair and Muharraq, Bahrain, use HotelsinBahrain.COM for online booking of your vacation, long stay, holidays, weekend away, overnight stay, business travels, weekend getaways, hotel specials, last minute or hotel reservations.